Complimentary parking for restaurant guests is available in our private gravel lot off of Madison Street located behind the Red Fox Inn. Street parking is available at town meters 9:00 am – 5:00pm Monday-Saturday and is free after 5:00pm and all day on Sunday. Occupying the second floor of the Inn, our private event space is comprised of four distinct private dining rooms and a large garden terrace. 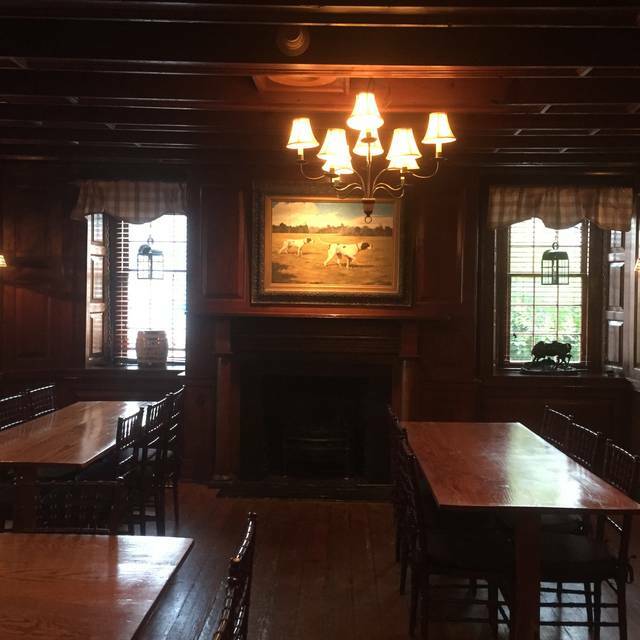 Original heart pine floors and paneling, working fireplaces, and walls adorned with sporting art set the tone for elegant group dining experiences. Our private event spaces can accommodate both social and corporate groups large or small for seated dinners, buffets, and cocktail receptions. 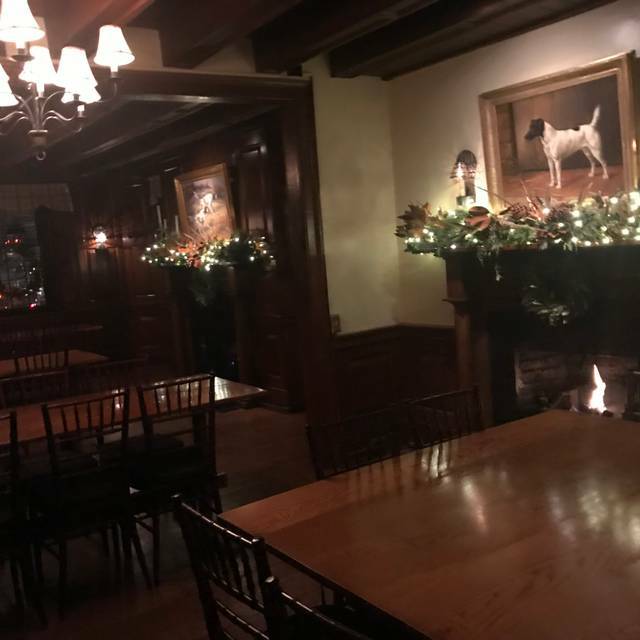 The Inn is a prime location for intimate wedding ceremonies, elegant receptions, festive rehearsal dinners, unique corporate events and memorable dinner parties. Whatever the occasion, our Events Team will customize our property to best suit your needs; from custom linens and place settings to elegant floral arrangements and pole-tents, the choice is yours and the possibilities are endless. With a culinary team dedicated to sourcing and preparing fresh ingredients from Virginia’s Piedmont region and bountiful South, we are proud to present dishes that combine time-honored cooking techniques with alluring seasonality. All fine food deserves to be accompanied by a perfectly suited refreshment. We showcase a vast selection of local beverages that pay homage to our extraordinary location afoot the rolling hills of Virginia’s wine country. 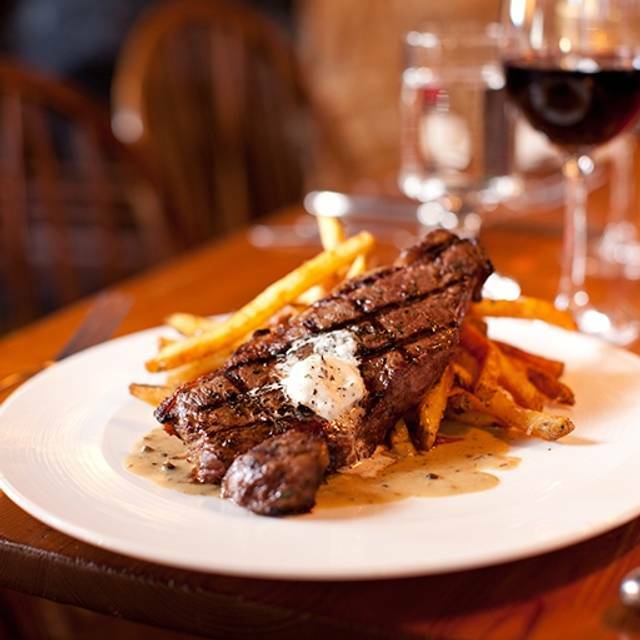 From intimate dinners in The Tavern to casual gatherings in The Night Fox Pub, each culinary experience is paired with a unique atmosphere and polished attendance prevails from beginning to end. Treat Mom to Brunch in The Tavern! We will be serving a Three Course Brunch for $65 per person. Children under 10 are $32 per person. Taxes, gratuity, and beverages are not included in the price per person. Please visit our website or call The Tavern to learn more about the menu. I have always wanted to dine at Red Fox Tavern and so decided to treat a friend for her birthday. I appreciated the hostess had us seated immediately after arriving (even though we were 15 minutes early) and the overall service was very good. My friend enjoyed her dining selections. I enjoyed my first course (salad with goat cheese and pecans) and my dessert (chocolate torte). Unfortunately I did not enjoy the crab meat and asparagus omelette. I had hoped it would be creamy and tasty but instead it was dry and bland. I suppose I could have chosen something else but I did not want fried chicken, or pasta. I was afraid the smoked duck would be gamey and I did not really want breakfast, at least not for $65. I had hoped better for the omelette. Perhaps I would suggest a wider menu selection. It would have been nice to pick our seats when making the reservation. We have been going to the Red Fox for 40 years and like the downstairs area. We had an 89 year old grandma with us and had to go up the stairs to a small room without the feel we are used to. It was very noisy and uncomfortable - the food and service compensated, in the future we will ask for seats in the lower dining room. 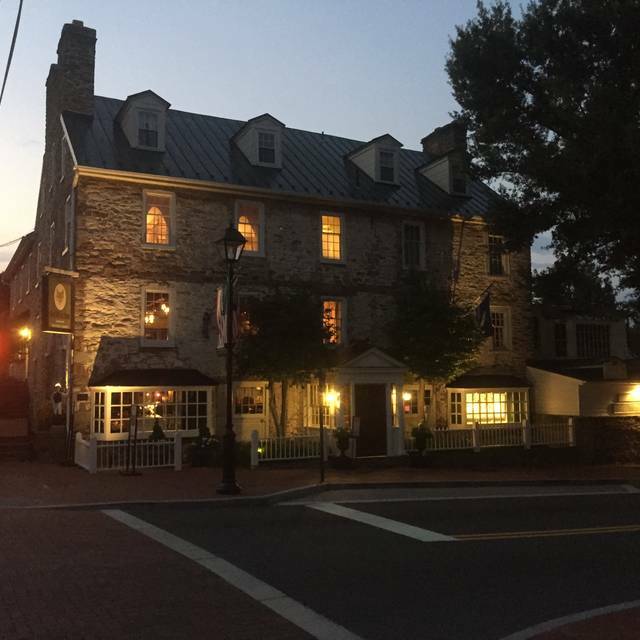 My favorite inn and restaurant in the whole of the Northern Virginia area. Beautiful quality and charm, makes you feel like you're truly stepping back in time and a feel of Europe when you're there. I love the southern style food too, keeping to the true culinary style of the area. Always a great experience! Absolutely amazing!!! The food, the service, the atmosphere..it was perfect! Such a great place to celebrate our mom’s birthday. We will definitely be back! Food was incredible. Romantic setting. Excellent Service. Sat outside on the back patio. The Duck was incredible and the flight of RdV wines was the perfect complement. Our server was knowledgeable and attentive. It was truly amazing. Brunch at the Red Fox each April for Foxcroft Alumnae Weekend is wonderful largely due to the incredible service provided by David. The food is always good, bloody Mary’s extra spicy are perfect and now outdoor seating!! Every thing was above wonderful! Fabulous dinner! As always, quiet country dining at its best. Food was great, service attentive at just the right level. Server was knowledgeable of everything on the menu and answered all our questions. 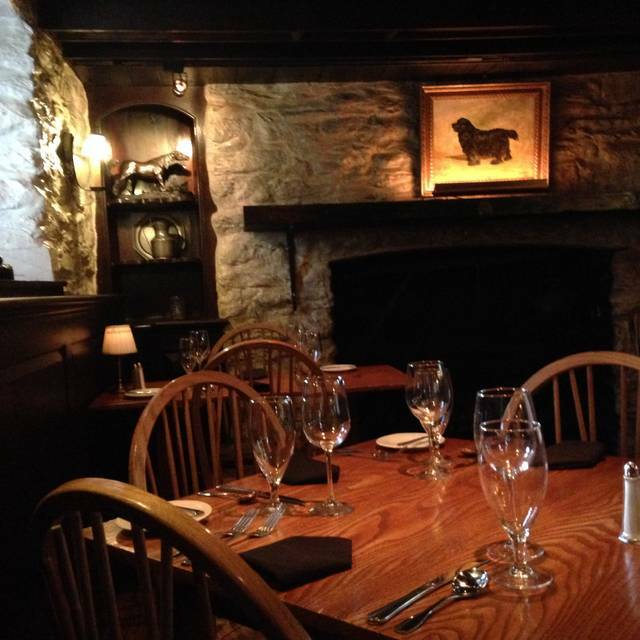 Red Fox Inn is our favorite horse country dining spot. Everyone from hostess to server was very friendly. Lovingly preserved piece of Virginia history. The staff also preserved country friendliness and courtesy in all services offered by the Inn. We had a wonderful time. Quaint but friendly, formal yet comfortable, overall a truly great dining experience. The best place to eat well in an enjoyable atmosphere in Middleburg by far! Had excellent food, reasonable service, very noise adjacent table, guests were too loud. Otherwise enjoyed. We decided on The RFI for our anniversary and we’re not disappointed. Parking was easy and food, service ambiance were great. Wine & beer options were sound and food was cooked perfectly. We will 100% go back there! Food was great and so was the wine selection. The single varietal petit verdot from RdV was great value ($70). The locally (Middleburg) raised ribeye was expensive but very well cooked and I would get it again, just not every time. We were sat next to the fireplace, which was very and the service was perfectly attentive. We will be back again for another special occasion. Red Fox is consistently excellent. The food was creative and delicious. The service was a slow, but very friendly and professional. Highly recommend! My mom and I had an excellent time at the Red Fox Inn. Food was delicious and the service was spot on. Great restaurant with amazing history and ambiance. Good, consistent food and fantastic service. We had an extraordinary experience at Red Fox Inn last weekend. We were celebrating our anniversary and had a wonderful dinner. The service, environment and food was some of the very best. Highly recommend - clearly a five star experience. Beautiful historic location and the service is just as amazing as the food!! Try the deviled eggs and fried green tomatoes. Beautiful day and had brunch outside! Have dined there several times and never disappointed. 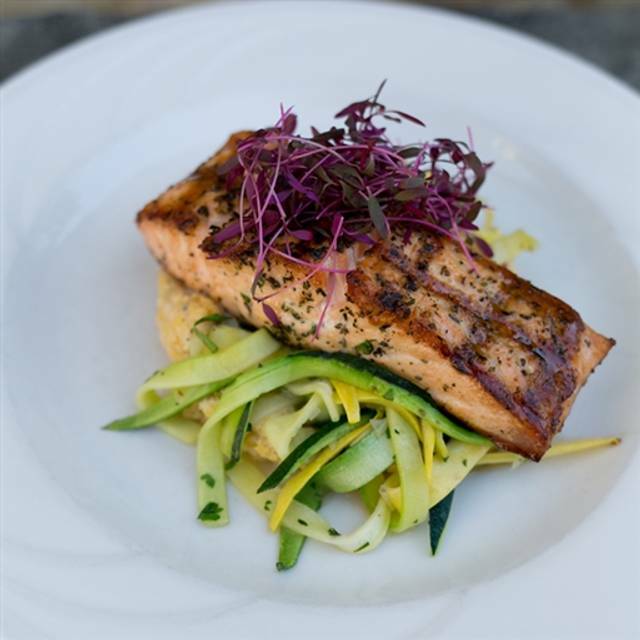 Beautiful setting, attentive service and spectacular cuisine. What else could you want? Went this time for my sister's birthday and the evening was perfect. Lovely setting but very expensive with a limited range of selections. 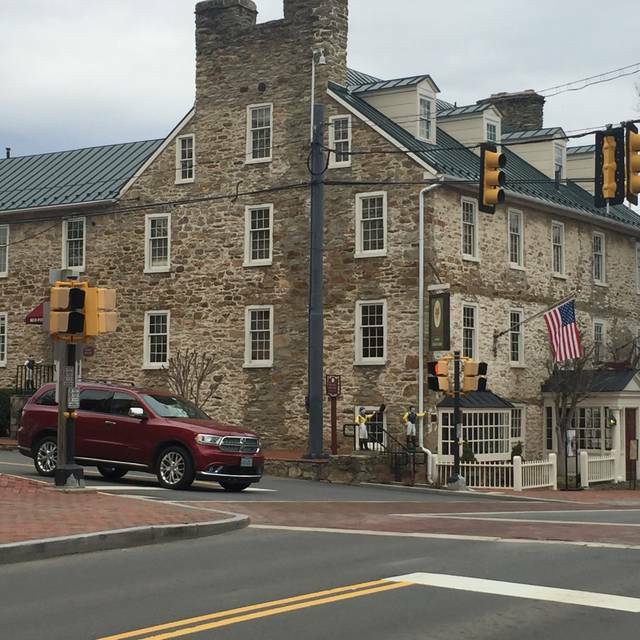 The Red Fox Inn is our go to place when we plan to dine in Middleburg. We've eaten there for anniversaries and birthdays, other special occasions, and most recently after attending a concert held at the Parish House of Emmanuel Episcopal. Ambiance is charming, food is beyond delicious and always presented in beautiful fashion. Highly recommend - try the date and goat cheese salad - recently they had duck croquettes as a special appetizer - heavenly. Lovely establishment in the heart of Hunt Country - staff knowledgeable and pleasant. Oh, a good wine list and their Bloody Mary's are a good way to start your meal! My experience has always been a great experience. Excellent food, nice service, great ambiance. On the other hand, we had to wait a bit between salad and main courses. Bar closes way too early (9.30 PM on a Saturday). 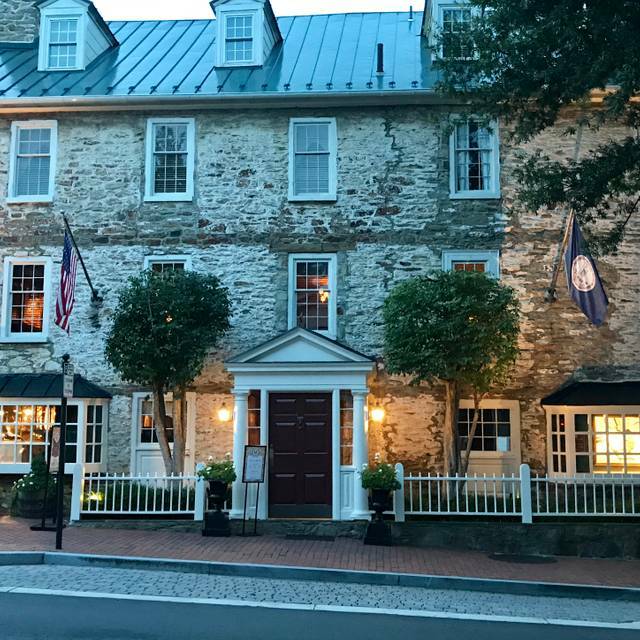 We were staying at the Red Fox Inn & Tavern on a Sunday night and we booked an 8pm reservation at the Tavern after a fun day in Middleburg. 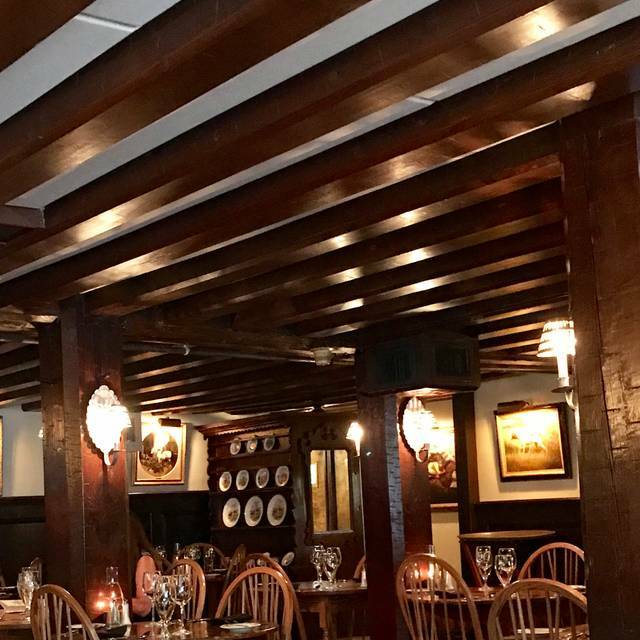 We would definitely recommend this restaurant for a date night, anniversary dinner, birthday dinner, or any kind of celebration. The atmosphere is relaxing, private and perfect lighting for romance. Not to mention, the wait-staff is top notch. They know their menu, they care about their guests, and they go the extra mile on the small details. When one of us (the not so graceful one) spilled some of his wine on the table, the waitress noticed and brought him a little glass of extra wine to fill his glass back up. She was so nice and we could tell she wanted us to have a good experience. They will serve you warm bread and butter after the drinks come out. We had the Duck Wontons for an appetizer, and then we had the Crispy Half Duck and Seared Salmon for our entrees- both were mouth-watering. Each meal was perfectly sauced and paired with a vegetable. The food was plenty, but not too filling. This is definitely a restaurant we will have to return to for an anniversary dinner. A wonderful experience for our anniversary. Staff was personable, food was fantastic, and ambience was cozy and intimate. Terrific experience in a classic location with superb atmosphere and amazing history. The only thing better than the service and the ambiance was the fried chicken! If the evaluation was for appetizers alone, this would be in a Michelin class. The entrees could use a little tweaking. Service was outstanding in all areas. The high rise, elevated bed could use some ropes and a safety harness (a little humor, but the height was a bit daunting). We had a wonderful stay. We’ve been coming here for special occasions since 1983. Food has sometimes disappointed altho not lately. Love the atmosphere of the tap room with its fire. The service was excellent, food was piping hot, bartender knows his stuff (drinks were very good!) Always a guaranteed product. Sunday Brunch - interesting and tasty menu choices — recommend goat cheese grits with shrimp and Virginia ham! Also enjoyed Fried Green Tomato Benedict. Will definitely be eating here again next time we are in town! This was an excellent evening. The menu is diverse and very interesting, with elements of the South. The salads were quite good with 3 different sizes. The entrees (rock fish and fried chicken) were excellent. The Mac & Cheese was delish, and the biscuit and gravy quite tasty. The pecan pie a la mode was quite authentic. The service was attentive and the ambiance (with a table next to the fire) was very cozy. This was a real treat in an elegant pub-like atmosphere. Loved the historic tavern! Fabulous ambiance and the food and drink measured up! Try the Berkshire Pig signature cocktail - very smooth and easy to drink; the bourbon gives it depth. We also enjoyed the Bloody Mary, the trout, the sausage gravy, and the flourless chocolate cake! Not cheap, but worth it for a special occasion / pampering brunch.